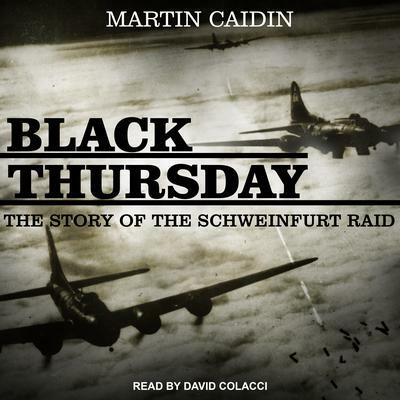 Black Thursday - Audiobook | Listen Instantly! On Thursday, October 14, 1943, two hundred and ninety one B-17 Flying Fortresses set out for a strategic bombing raid on the factories in Schweinfurt. Sixty of those planes never returned and six hundred and fifty men were lost during the course of that mission. It was the greatest failure that the United States Air Force had ever suffered and became known as "Black Thursday." 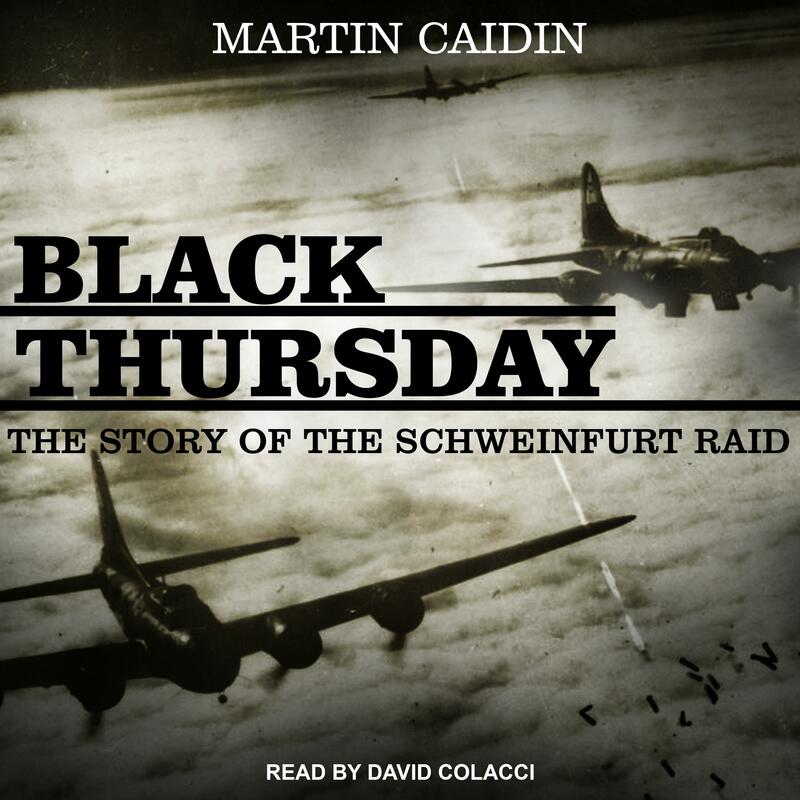 Martin Caidin's Black Thursday: The Story of the Schweinfurt Raid is a brilliant account of that day that should never be forgotten. This book uncovers in thrilling detail the build-up to that fateful raid as the ground crew prepare the aircraft and the aviators are briefed on their mission ahead. By consulting with first-hand accounts and interviewing survivors Caidin's book takes the listener to the heart of the action as the planes burst into battle in the skies above Western Europe. Download and start listening now! Martin Caidin was an American author and an authority on aeronautics and aviation. Caidin was an airplane pilot as well, and bought and restored a 1936 Junkers Ju 52 airplane. His book Black Thursday was first published in 1960. He passed away in 1997. David Colacci is an actor and director who has directed and performed in prominent theaters nationwide. His credits include roles from Shakespeare to Albee, as well as extensive work on new plays. As a narrator, he has won numerous Earphones Awards, earned Audie Award nominations, and been included in Best Audio of the Year lists by such publications as Publishers Weekly, AudioFile magazine, and Library Journal. He was a resident actor and director with the Cleveland Play House for eight years and has been artistic director of the Hope Summer Rep Theater since 1992.